When I was a kid, Saturday mornings meant one thing, and one thing only: cartoons! They usually started early, at 8:00 AM. It was three and a half hours of pure bliss. The reason I decided to write about this now is that that this weekend marks the passing of an era. This is the first weekend in 52 years that there hasn’t been any cartoons broadcast on a Saturday morning on a broadcast network (this excludes cable and satellite). This means that Saturday morning cartoons have been on for my entire life, save for two years. Some people say that kids have it better these days. They are able to watch pretty much any cartoons whenever they want. Between cable TV, satellite TV, You Tube a kid can find virtually any cartoon out there that’s ever been produced. How can a single episode of a cartoon one a week possibly compare this? I know what you’re thinking: Jay, you are just being nostalgic. You are looking back on fond memories of your childhood and thinking, as people often do, that things in the past were always better than they are today. This is true, to a degree. I am a huge fan of technology. I think that the Internet, tablets, smart phones, streaming music and video are the best thing since sliced bread, and I’ve got Netflix, Amazon Prime, iPhone, and iPad to prove it. Still, I think kids might be missing out on something with their on-demand, endless selections of media: anticipation. Anticipation is a powerful emotion. Waiting to get something you really want seems to increase its value. It is the same thing people feel while waiting to go on holiday, get married, for a child to be born. Ok, perhaps not to the same degree, for an adult, but for a kid, waiting for your favorite cartoon to come on is pretty much the same thing. My favorite was the Bugs Bunny/Road Runner show. It was an hour of enjoyment and laughter that I could only get once a week. One hour of bliss after 167 hours of waiting. A week is months in kid time. But the waiting game for my favorite Bugs Bunny/Road Runner episode was even more intense than just this. Each Saturday, only seven episodes were shown. 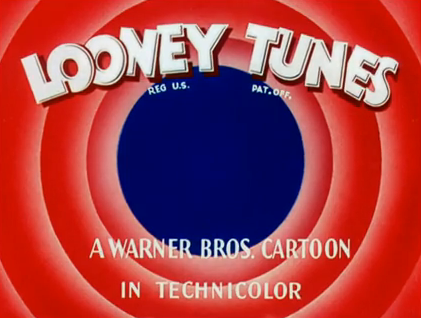 There were a total of 236 individual cartoons shown over the decades long run of the show. [THE BUGS BUNNY/ROAD RUNNER HOUR,2014] If these were broadcast in an even rotation, then I would have to wait 33 weeks to see any episode more than once. Of course, I’m pretty sure that they showed some episodes more than others so the actual time between the showing of any one episode and another was probably less, that is, of course, if one of my favorites was not one of the higher rated ones. The point is I had to wait, often months, to see any one of my favorite episodes. It was this waiting that gave greater value to my Saturday morning cartoons vs. what a kid could get today, when they can call up any episode they want at a moment’s notice. This is why, I think, that I am so nostalgic for my Saturday morning cartoons. They were Black Opals. They were quark stars. They were rare. Saturday morning cartoons were something to be anticipated and cherished, and to my child’s mind, they were rarer than any gem could ever be.